Today HTC announced a cool new completely standalone VR headset for China, and then promptly dashed hopes in America by confirming the cancellation of the standalone headset intended for US audiences. If you’re US-based and want the next wave of VR headsets, then it seems you’re going to need to look elsewhere. This was further confirmed on Twitter by Google’s main Daydream man, VP of Virtual Reality, Clay Bavor. The death of the HTC Daydream headset doesn’t mean the end of cool standalone headsets for either HTC or Google. Immediately after confirming the HTC headset was dead, Bavor teased a Lenovo standalone headset, which was also announced at Google IO. This will be the third headset from Lenovo this year. The company has previously released a headset intended for Windows Mixed Reality, and earlier this month launched a cool, if pricey, augmented reality headset in collaboration with Disney. As for HTC, the company that gave us the best tracking in a VR headset ever, it has plans to launch a standalone headset in China. The HTC Vive Focus is completely wireless, uses AMOLED displays, and is powered by a Qualcomm Snapdragon 835 processor. According to HTC, it also has inside-out six-degree-of-freedom tracking, similar to what you’d find in a Microsoft Mixed Reality Headset. 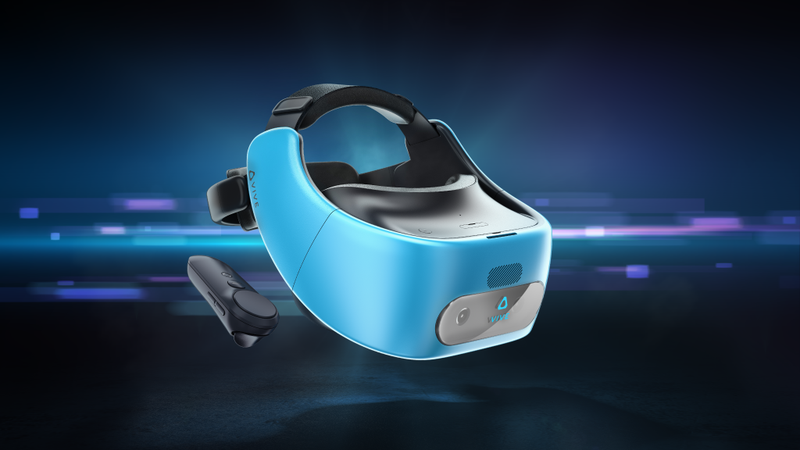 This means, unlike the current Vive, that the headset doesn’t require external sensors or arrays to track the movement of the wearer, and it can track the wearer as they move up, down, left, right, and backwards, and forwards. But HTC has made it clear that this headset will only be available in China, and that there are no plans for a US version—even one with Daydream inside. (The Vive Focus will instead use content from HTC’s Viveport.) Instead, US consumers will have to be content to wait for the Lenovo Daydream headset or for the $200 Oculus Go, an inexpensive standalone headset Mark Zuckerberg announced at the Oculus developer’s conference last month. That headset is expected in early 2018.